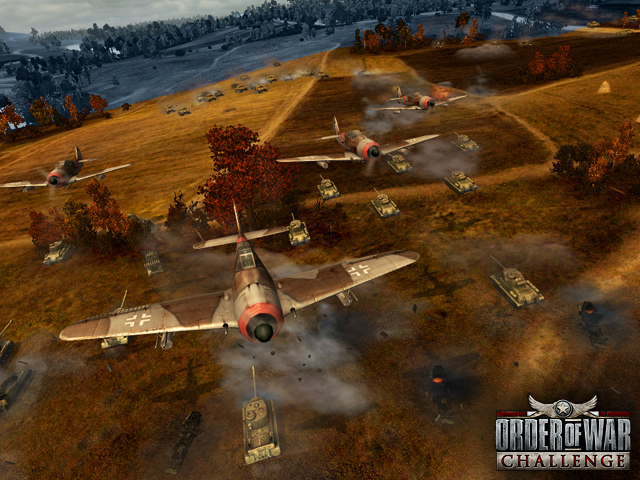 ORDER OF WAR: CHALLENGE is a multiplayer stand-alone game in the world of ORDER OF WAR(TM), published by Wargaming.net, packing even more intense World War II real-time strategy action. With 6 extended modes, 12 unique maps, and hundreds of units under player control ORDER OF WAR: CHALLENGE gives players a battlefield experience of epic scale. ...... With a new advanced gameplay system and including fog of war, ORDER OF WAR: CHALLENGE redefines combat mechanics and gives players a tense battlefield experience with plenty of room for wide-ranging tactics. Amazing photos with flora scenery. Qweas is providing links to Order of War: Challenge 1.0.3439a as a courtesy, and makes no representations regarding Order of War: Challenge or any other applications or any information related thereto. Any questions, complaints or claims regarding this application Order of War: Challenge 1.0.3439a must be directed to the appropriate software vendor. You may click the publisher link of Order of War: Challenge on the top of this page to get more details about the vendor.